The year 2016 took off its first flight with the release of Ho Mann Jahaan(HMJ), an Asim Raza film that features some of the very talented names of the Pakistani dramas and cinema. The trailer, teasers and the promotions of the movie made the cine-goers flood to pre-book shows of opening days everywhere. As per media reports, all shows were pre-booked for the first weekend in major cinemas. Before starting Ho Mann Jahaan Movie Review , lets have a brief round-up. 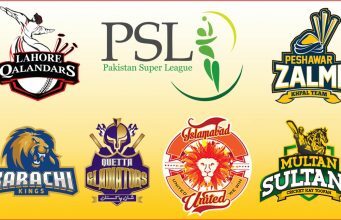 Ever since the revival of the silver screen in Pakistan, movies such as Bol, Waar, Na Maloom Afraad, Bin Roye, Wrong Number, Karachi Se Lahore, Moor, Manto and the blockbuster “Jawani Phir Nahin Aani“ have made the viewers realize and acknowledge that Pakistani cinema is no less than any competitive cinema globally. And in the case of HMJ, many look forward to this particular movie for many factors including the superstar Mahira Khan, the handsome hunk Shehreyar Khan, the talented actor Adeel Hussain and last but not the least director Asim Raza who was the man behind videos like Awaz’s Jadu Ka Chiragh and Mein Na Manoon Haar or even Faakhir’s Mahi Ve and countless TVCs. 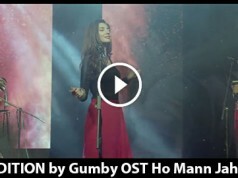 Ho Mann Jahan revolves around a bond of three friends who are passionate about pursuing their career in music, seamlessly portrayed by the beautiful Humsafar lady Mahira Khan as Muneeze’, Shehreyar Munawar, the winner for the Best New Sensation at the 2013 Hum Awards as Arhaan and Adeel Hussain, appreciated for his acting in Mehreen Jabbar’s Daam and well noted in Mata-e-Jaan hai tu and Muhabbat Subh Ka Sitara Hai, as Nadir. The movie opens with the song Mann Ke Jahan and runs through the first hour showing the three completing their college and Muneeze’ and Nadir falling for each other. It picks up in the second hour where Nadir is given no option but to choose between marrying Muneeze’ on the cost of saying a good-bye to music and hello to his family business by his parents. The poor guy chooses to opt for his lady and graves his passion somewhere deep down in order to take hold of his father’s empire. On the other hand, Arhaan appears to be a hyperactive emotional person who is more of a fanatic when it comes to his music. The awaited “twist” strikes in when Arhaan and Muneeze’ are selected to showcase their dreams at Coke Studio which leaves Nadir revisit his choices that he had made considering his family norms, social pressure and a bit of emotional black-mail by his parents. What happens next and how does Ho Mann Jahan reunite with its title is what kicks in right here. The music is just FANTASTIC. The film has ten soundtracks each of which deserves a round of applause. 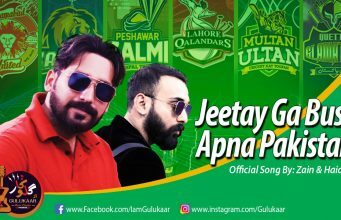 Mann Ke Jahan and Dil Pagla (written by director Asim Raza himself & sung beautifully by Zeb Bangash) will surely make you fall for the composition and lyrics, followed by Atif Aslam’s Dil Kare (again written by Asim Raza) will top your playlists. But wait, the package has great compliments along. Barish by Jimmy Khan will bring a smile on your face where as the popular Shakkar Wandaan (sung by Asrar and penned down by Afzal Sahir) and Tina Sani’s Khush Piya Wassan makes one think how, even after decades, closely-knit are Faakhir and the director (as mentioned above Asim directed a few Awaz and Faakhir’s songs in the past) and last but not the least, “Dosti” by Zohaib Hassan and Zeb Bangash steals the show away and ensures that each viewer enjoys the foot tapping music with a real and reel feel of Coke Studio. Veterans like Abu Muhammad and Fareed Ayaz, Mai Dhai and Louis J. Pinto aka Gumby also contribute in the movie’s soundtracks. 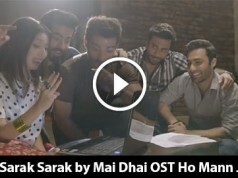 After the superb music, the best thing in HMJ is the acting of the lead characters played by Mahira Khan, Shehreyar Munawwar and Adeel Hussain. All the lead actors in HMJ, did fantastic job with acting. 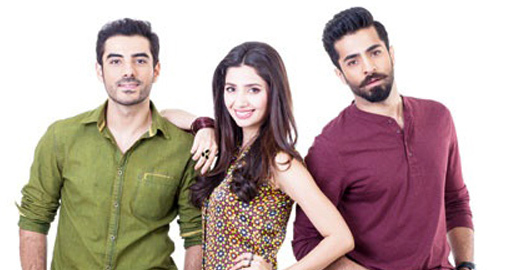 Mahira looked a bit experienced on silver screen whereas new comers, Shehreyar and Adeel, also managed to impress with their respective roles & dialogue delivery. Sonya Jehan, the grand daughter of Madam Noor Jehan, played the role of an independent woman & added more depth to the storyline. Another acting highlight was to see veteran Jamal Shah in action, who played the role of Maneezeh’s father. HMJ makes sure that each and every bit of detail is taken care of whether it is the chords of the guitars synced with the music or the beautiful use of Urdu in a routine. Songs are absolutely situational and the seamless script is just a treat. However, there is something which might leave a cine-goer a little disappointed about Ho Mann Jahan. First of all, Movie is a bit lengthy and the first half would bore many people to death. It might also be due to the reason that there are no light moments, comical characters in the movie. Bushra Ansari appears a bit lacking in doing justice with her already-set high benchmarks, the second half tries to pull off two-to-three sequences in a fast-forward mode. If talents behind Arshad Mehmood and the entire lot of musicians at Coke Studio remain unknown to you, perhaps you won’t be able to appreciate how nicely Asim Raza has put his forte’ in place. What’s more in Ho Mann Jahaan? Music and acting are not the ONLY best thing in Ho Mann Jahaan. 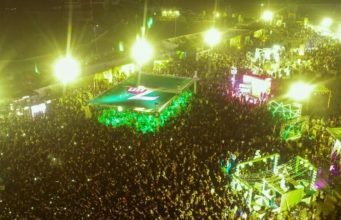 The movie does its “paisa wasool´through cameos of Fawad Khan, Syra Shehroz, Zohaib Hassan and Strings giving their guests appearances. Overall, the film is a MUST-WATCH which may leave you thinking why such movies are not produced all the time. This is how the Pakistani Cinema should look like, original in its own ways and not the bollywood type masla. HMJ is another unique addition to Pakistani cinema, it is not something EXTRA ORDINARY, as some people perceived after seeing the heavy promotions, but its NOT BAD either. There will be moments you will smile, feel good about it and also there will be scenes which might not make any sense for you. All in all, its something you should DEFINITELY NOT MISS.